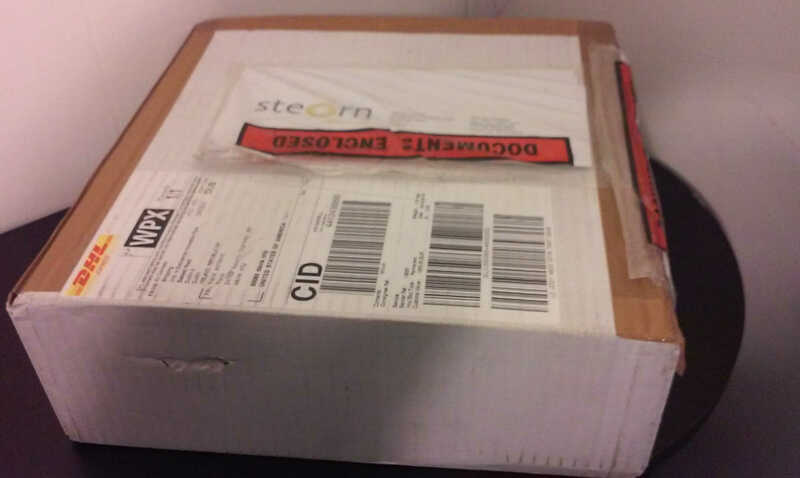 Frank Acland of e-catworld.com confirms today that he has received his Orbo OCube from Steorn. This is the first confirmed delivery of an OCube. As we’ve come to expect from Steorn, however, the delivery is not without a strange twist. Acland received an e-mail from Steorn alerting him that they realized, too late, that they’d sent him an OCube that was missing its lithium ion battery, and so only has the Orbo powerpack in it to directly provide power (resulting in no ability to store electricity generated by the Orbo, and so much slower charging of any attached device than would be possible with the Li-ion battery). Acland noted that this mishap could turn out to be a stroke of good fortune, as Steorn has told him they will send him an additional, complete OCube at no further cost. This would leave him with two OCubes, one of which provides power directly from the Orbo powerpack, allowing a lot more flexibility in testing methods. Ackland has posted a photo of his new OCube fresh from its box and attached to a USB power meter. 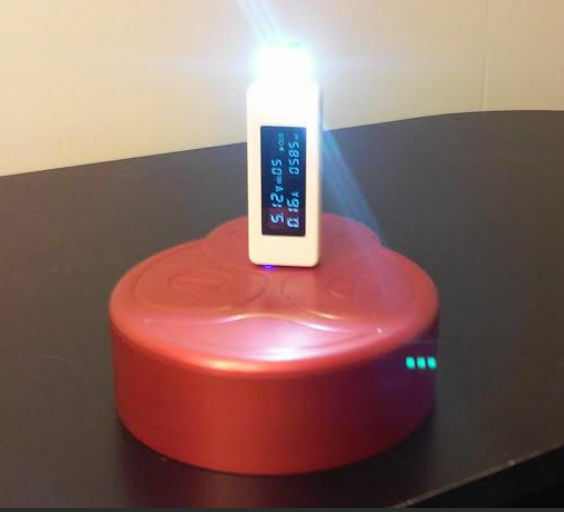 An LED light is drawing power from the OCube, through the meter. The reading on the meter shows that presently 0.16 amps of 5.12 volt power are being drawn. Note that if this is accurate, it represents a power output of roughly twice the previously stated 0.4 watts that the Orbo powerpack was expected to be able to directly produce. The first confirmed OCube delivery, received by Frank Acland. Acland posted a new photo showing the OCube connected to a more powerful LED lamp. The USB power meter now reads 0.31 amps at 4.86 volts. This means it’s putting out 1.51 watts, nearly four times the power that an Orbo powerpack was said to be able to generate (alone, without the aid of a battery to store the energy as it builds up). Given that his OCube supposedly did not come with a battery, Acland is justifiably mystified at this result. This OCube does in fact have a Li-ion battery in it; Steorn was mistaken in sending an e-mail to Acland stating that it did not. Steorn stated that this OCube was sent out without a Li-ion battery by accident, because they were running a test on it without the battery inside. It may be that the test they were running involved installing multiple Orbo powerpacks within the OCube; if so, Acland’s OCube might simply be capable of generating more constant power, without storing it, than a standard OCube could. There remains the possibility that some kind of fraud is taking place here, and that the “Orbo powerpack” itself is just a standard battery. Without a current limiter, a higher current like this could be drawn from a standard battery; it just means it would drain faster. An important step in discovering which of these possibilities is true would be to open up the OCube and see what’s inside. While Acland appears willing to do this, he hasn’t yet because he lacks the right tool. If it’s confirmed that this OCube doesn’t contain a Li-ion battery, then it’s just a matter of waiting to find out how long it’s able to output a given current before fully discharging (or, if Steorn is right, not discharging). Acland’s OCube putting out four times the power that it should, if it contains no battery. This is consistent with the notion that Acland’s OCube does in fact contain a Lithium-ion battery, even though Steorn had thought otherwise. By drawing more power from the OCube than the Orbo powerpack could provide, the Li-ion battery was depleted. Acland plans on letting the OCube rest overnight and resuming tests tomorrow, by which time, if Steorn’s claims are correct, the Li-ion battery should have been substantially, if not fully, recharged by the Orbo powerpack. As Frank Acland’s second day with his OCube began, he found that it had not regained the ability to light his LED lamp for more than a few seconds before needing to rest again, and was not able to charge his mobile devices at all. He was told by Steorn that the OCube he was sent indeed does not contain a Li-ion battery, but instead has a 5 Farad capacitor in its place. 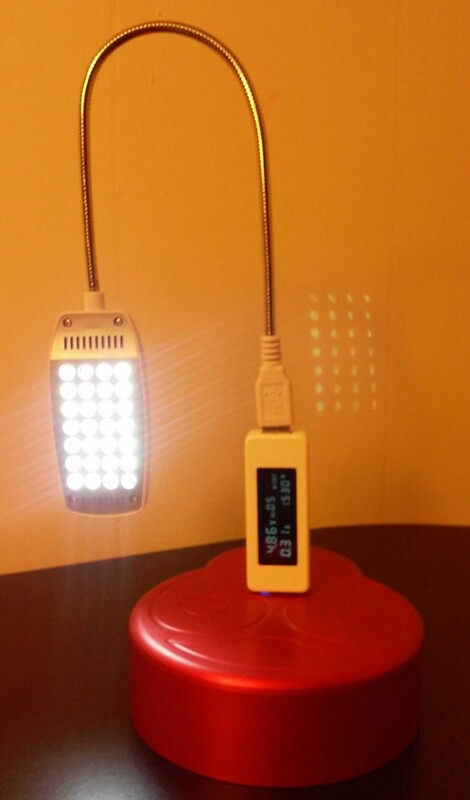 Why, then, was this OCube able to power the LED lamp for a long while after first arriving? Steorn speculated that this may be due to the inherent capacitance of the Orbo powerpack itself. So far the behavior of this bastardized OCube has only resulted in confusion. It’s unclear to what degree its present performance is due to the properties of the Orbo powerpack itself, versus the capacitor. To begin a serious test on this OCube would require drawing power directly from the Orbo powerpack. The good news is that Steorn has invited Acland to remove the back of his OCube and connect his test to internal contacts that draw power directly from the powerpack. The bad news is that, even with the screws now removed, the bottom plate seems to be jammed in so tightly that Acland, not wanting to risk damaging the unit, hasn’t yet been able to remove it.